Looks like summer is on its way. Final work prior to starting. 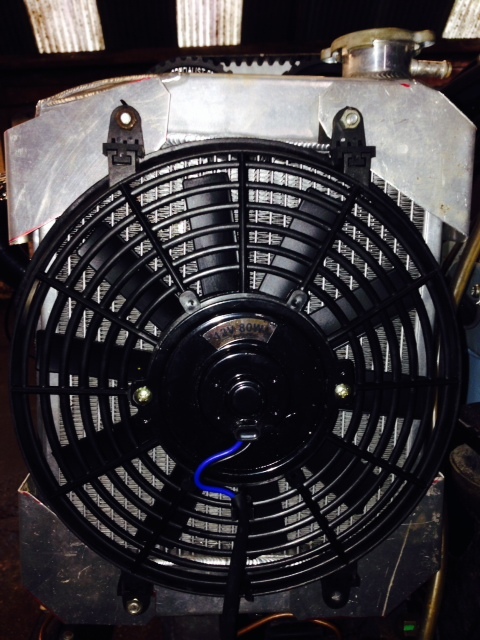 Electric cooling fan and modifications. Cylinder head / camshaft issues. 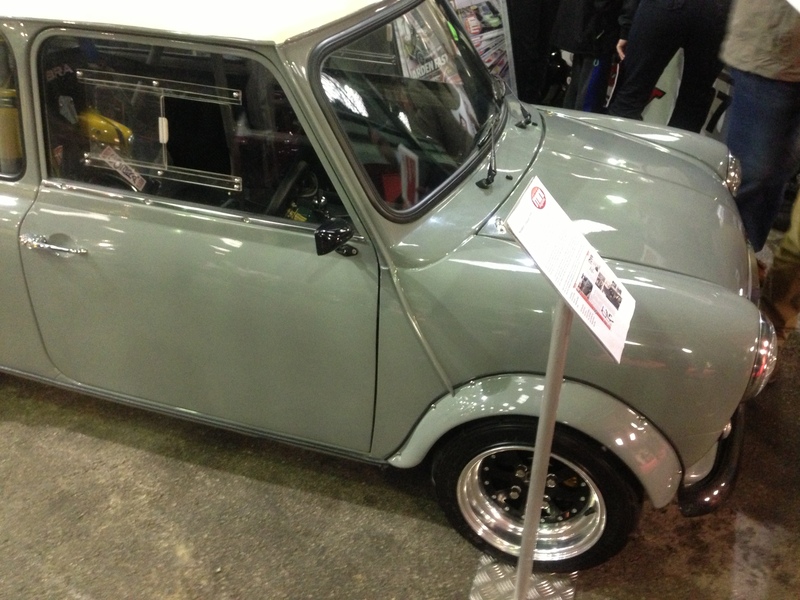 Tags: alloy radiator, ARP, bmw, classic mini, engine, engine conversion, engine running, its alive, k100, lightweight, mini, Mini Twin cam, radtec, stainless manifolds, TWIN CAM. So the final push to connect all the oil and water unions / hoses and hose clips was on and to try and get the engine running. I had to purchase a pre engaged starter and wire that in removing the inertia remote solenoid and related wiring from the old car setup. Once oil and water had been filled and the complete system checked for leaks i attempted a crank to check oil pressure. Gulp….. Nothing. After running through the basics, oil level again, box to engine block bolts and finding nothing i attempted back filling the oil pressure switch drilling and rotating the engine backwards to draw oil into the oil pump. The oil was drawn in and again i tried a short crank to check oil pressure. Still nothing. At this point I went home to think. After going through all possibilities of the o-ring missing situation, the oil pump gasket rotating when fitting leaving the bung in the central oil pickup pipe i was getting frustrated of having to think the engine would have to come out to check it all again. The next evening i went back to the car and timed up the engine to remove the timing belt i was thinking perhaps the oil pump wasn’t rotating fast enough to draw oil up from the sump. 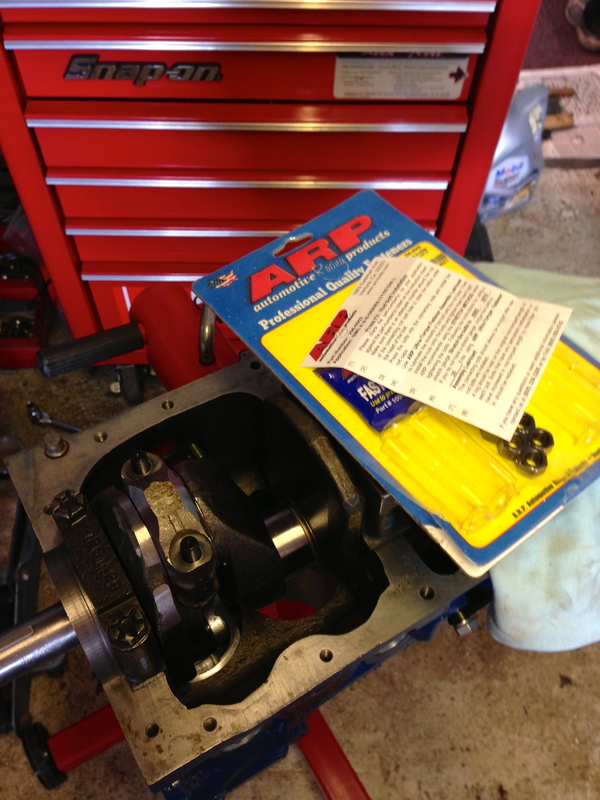 As the old camshaft is now an oil pump jackshaft i connected a battery drill to a socket and spun up the oil pump. Bingo finally a healthy oil pressure showing on the gauge. After refitting and checking the timing again by hand turning i connected up the laptop and opened up SXTune. I wanted to check if the ECU was picking up a signal and showing an RPM from the engine it was after a couple of adjustments getting the crank sensor aligned. I then checked if we had spark at the plugs. Again yes. That weekend i completed the fuel lines, filter, fuel pump and final bits and bobs in the engine bay and stuck a couple of gallons of fresh unleaded in the tank. On the second or third crank it kicked up. After a minute of the occasional cough messing with the throttle bodies it ran. It ran perfectly at about 900-1000RPM. Noticeably it was so quiet at the front end. No rattling of pushrods followers or timing chains now. Even though it ran nice it wouldn’t rev and it really needs to go on a rolling road to be properly set up I think i managed maybe 1200RPM maximum by just touching the throttle linkage. Finally i have to complete the wiring for the alternator circuit and the relays need to be plumbed in properly to operate the fuel pump and the cooling fan. 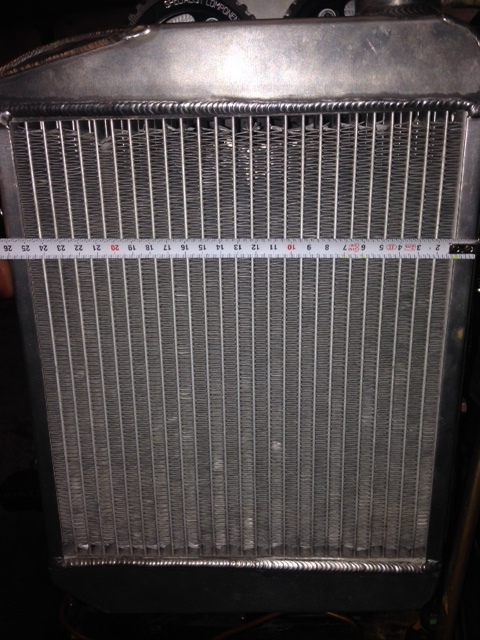 Tags: alloy radiator, bmw, classic mini, cooling fan, engine conversion, k100, mini, Mini Twin cam, radtec, TWIN CAM. 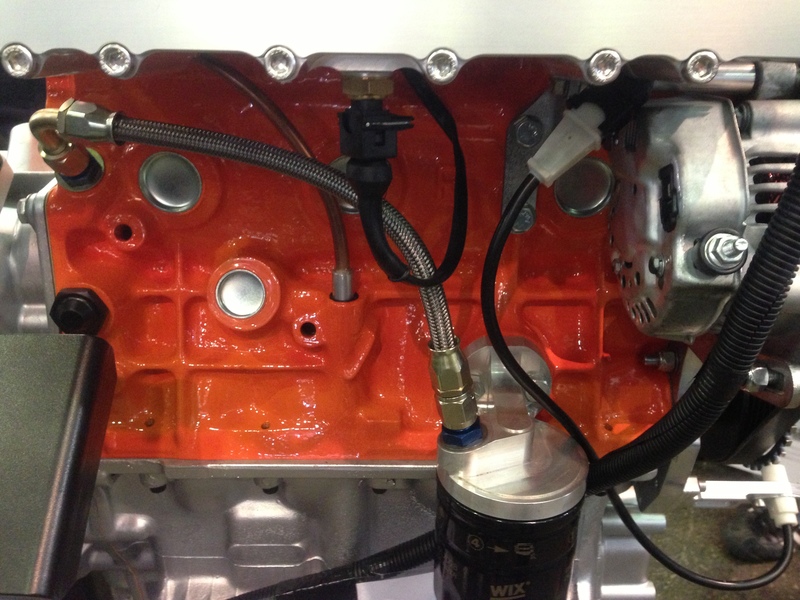 The approach to use an electric cooling fan was taken due to space requirements for the hose work from the head end plate drains to the rear oil return manifold. 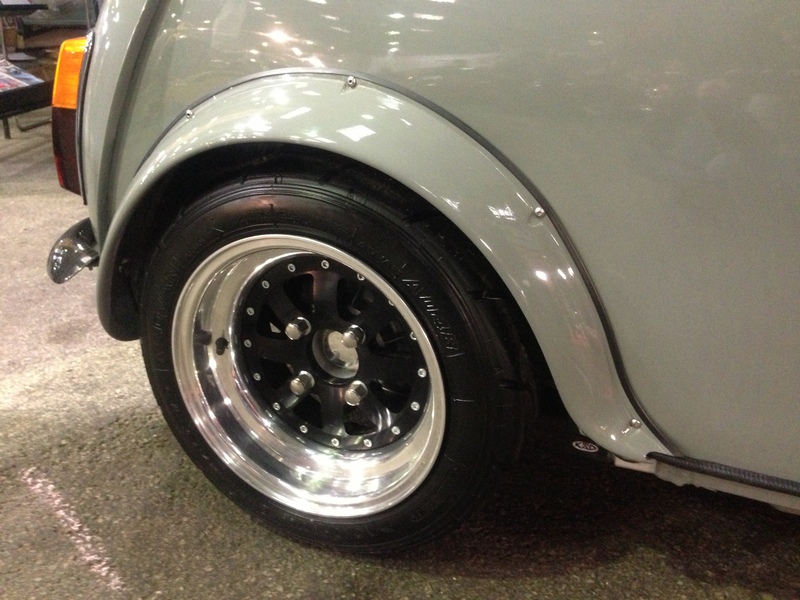 Measurements were taken and the largest cooling fan was ordered that would fit onto the rear side of the alloy rad. The original front cowling was retained and the mounting positions used to mount up some mounting brackets so that the fan would fit up against the radiator. The SC ECU and loom has the function to switch negative to a relay to power the fan so wiring should be straight forward. The conversion gets a little complicated trying to pipe up all of the required lines in so little space. 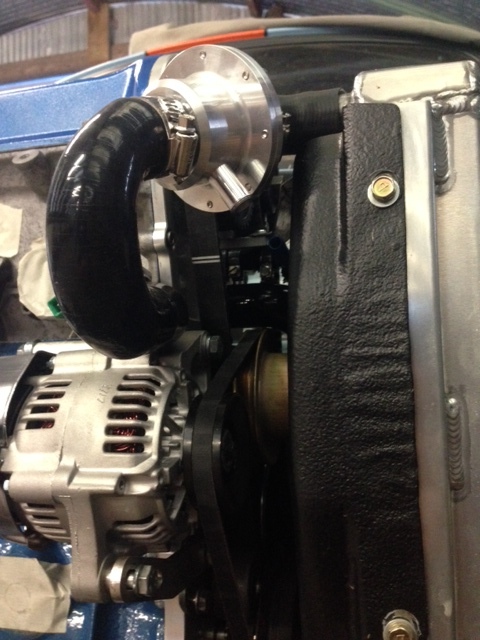 Also having an exposed cam belt running within around 15mm away from a radiator bottom hose can be a little daunting. 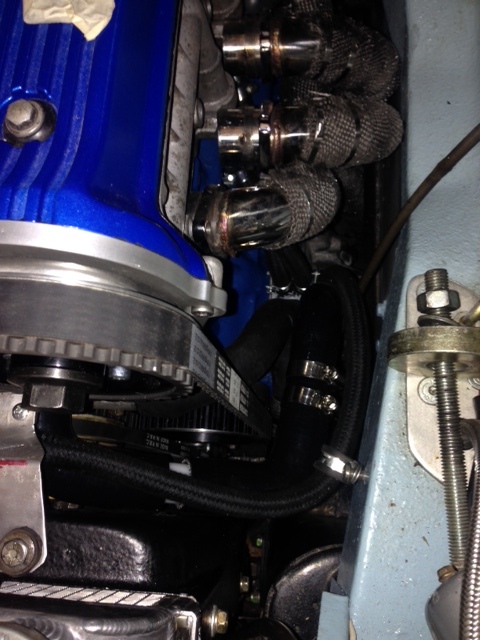 We now have 2 10mm drain lines, a 25mm drain line from head to block sump. 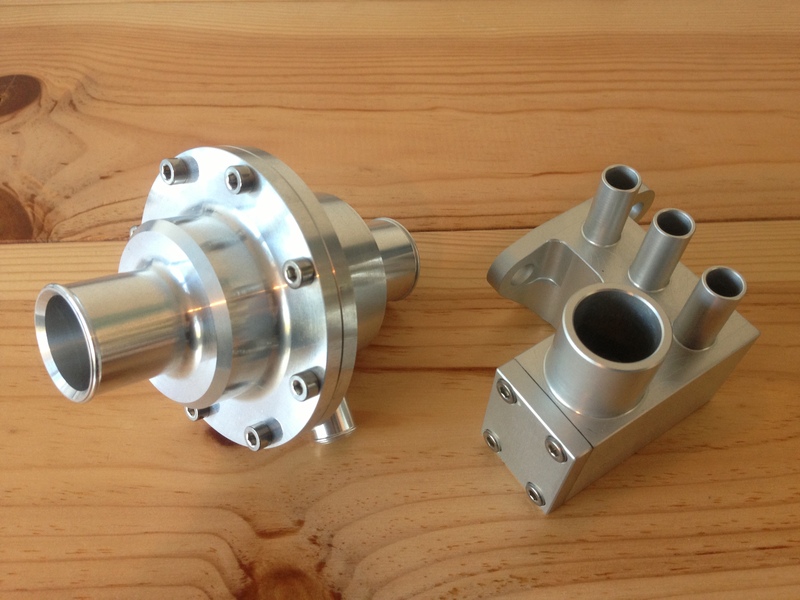 A block breather, a head breather and the modified bottom and top radiator hoses. The hoses that i used for the head drain lines need to be a minimum of 3/8″ or 10mm. The head main drain is 25mm. 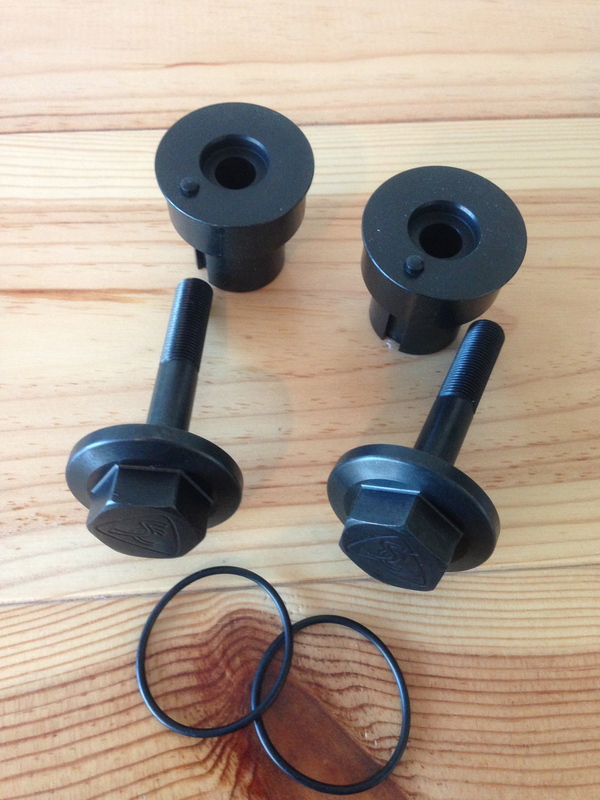 I used black silicone hoses for the oil and water applications on the engine with nylon hose joiners. A selection of 90, 45 and 180 formed hoses were used to hose up the engine. As the pictures show the radiator fan is very close running to the head breather pipework at this point the choice was made to run an electric fan mounted to the outside of the radiator to free up some much needed space. Brackets in the pictures above also are for mock up only. 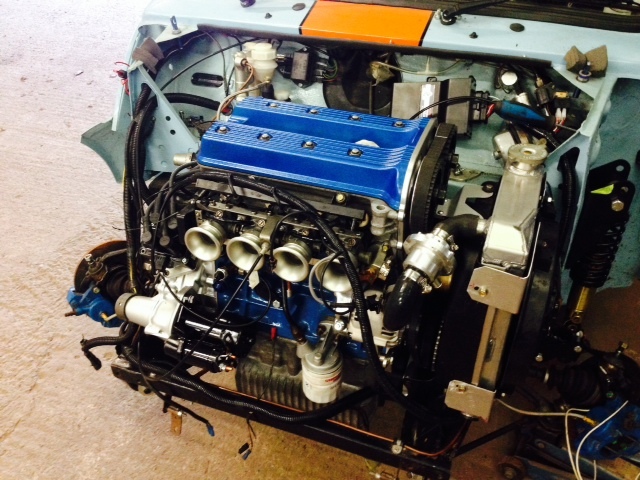 Tags: ARP, block, bmw, classic mini, Con rod, engine, engine conversion, gearbox, k100, lightened flywheel, lightweight, mini, Mini Twin cam, piston, stainless manifolds, TWIN CAM. Once the jackshaft was in and the pulleys fitted the engine was assembled in modular format. 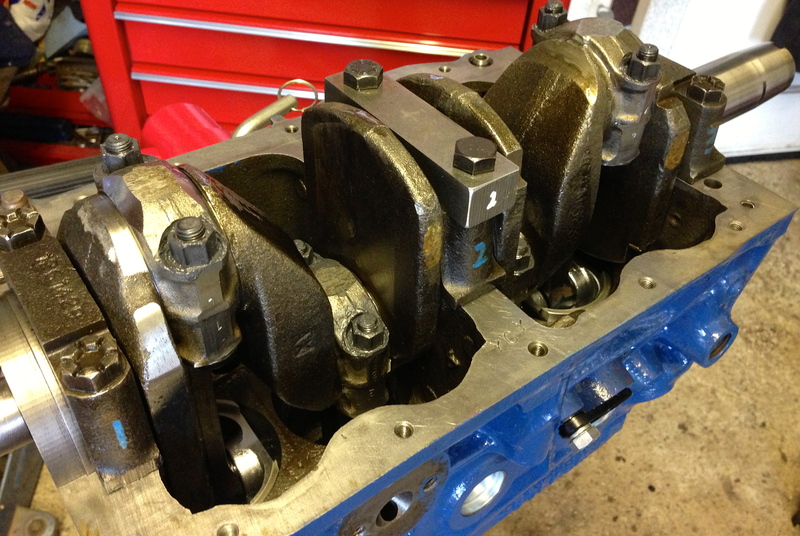 The cylinder head was re-assembled and checked again once the camshaft was returned from Piper. 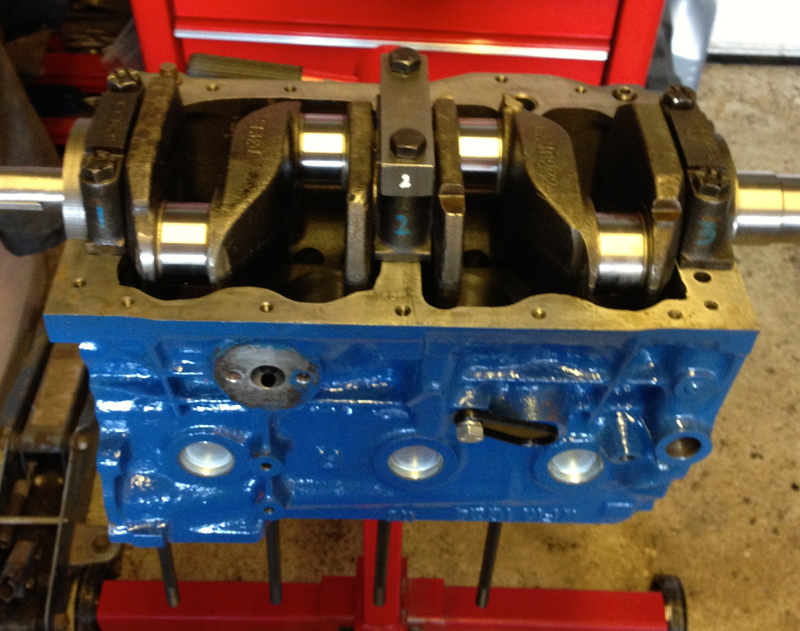 The re-profiling worked and the valve gap issue was resolved. This could then be fitted. I used SC’s Silicone / copper head gasket for ease of assembly. Head studs of the 8V K100 engine arrangement have to be shortened in all positions (by approx 7mm in my application). 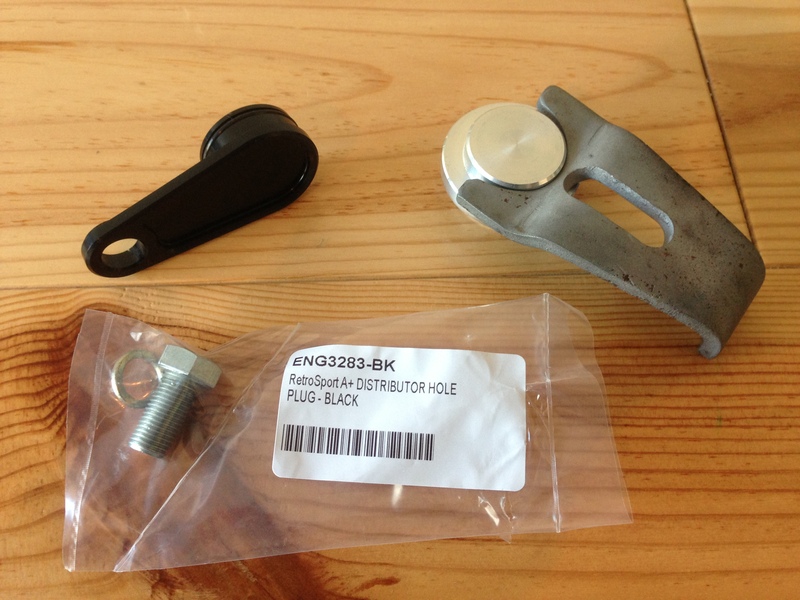 The original BMW head bolt washers are used with new A series flanged head nuts. SC specifies all torque values and tightening sequence in the build manual. 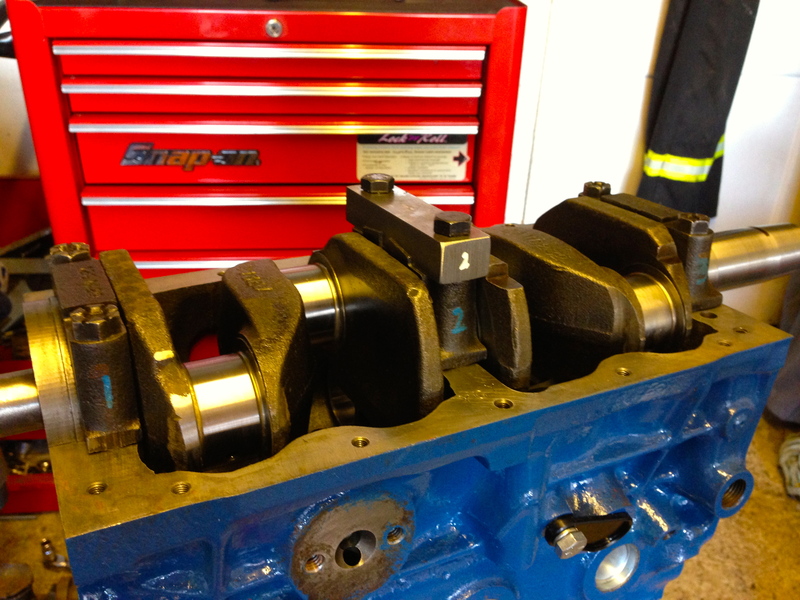 Once complete spacing between each camshaft and fasteners have to be checked. 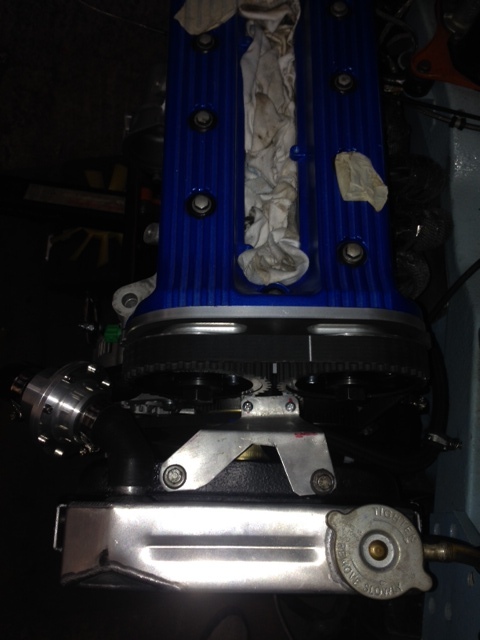 A new cast large impeller (without bypass output) water pump was fitted. This needs to be modified along the top edge of the alternator top mount point. 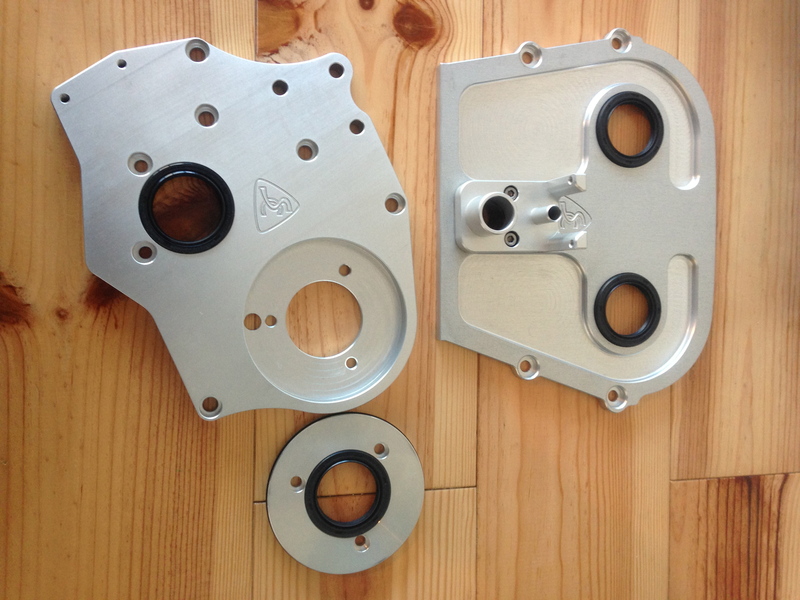 This modification is removing material so it allows the cylinder head / SC end cover plate to sit above the water pump body. The original mounting hole is used so care is needed to be taken when modifying to remove enough material to allow the water pump to fit but minimum material to prevent weakening of the alternator mounting. Also a cast rib on the front edge of the water pump needs to be ground back to allow sufficient clearance for the timing belt to run past from crankshaft pulley to inlet cam gear. 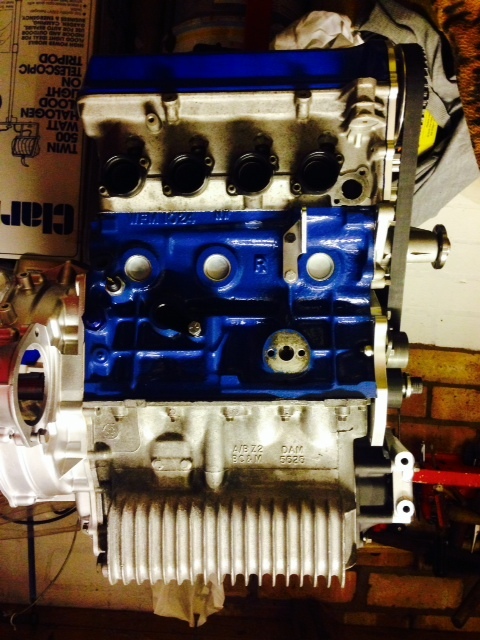 Basic cam timing of the engine could then take place. This was completed over the course of an afternoon and checked, double checked and triple checked with various belt / pulley adjustments involved. After adjustments the cam timing was set to SC’s instructions. An accurate DTI is an important and essential tool in this job and also mounting it so it acts in parallel with the inlet valve . The engine was then rotated carefully by hand to see if there was any issues with interferance but everything was fine. 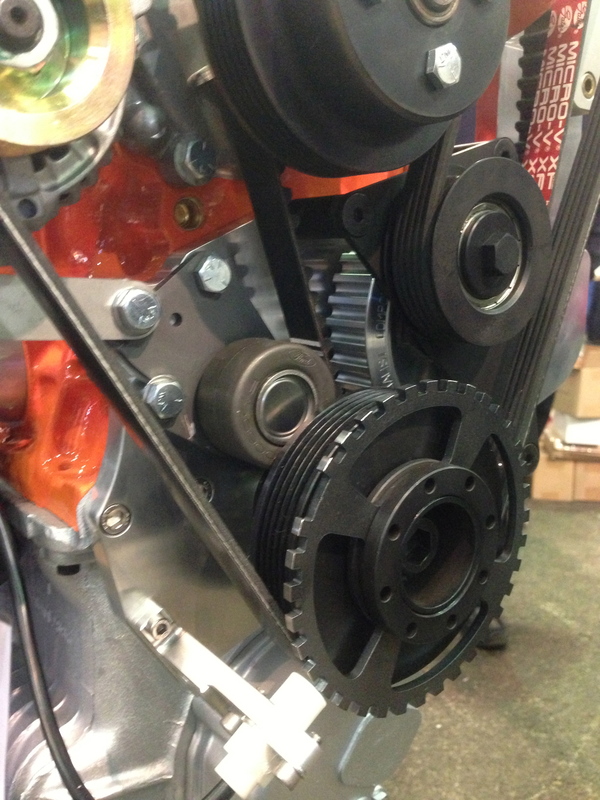 Tension of the belt is measured on the length of belt from the exhaust cam to the oil pump (jackshaft) pulley. This is rotation level between thumb and index finger. 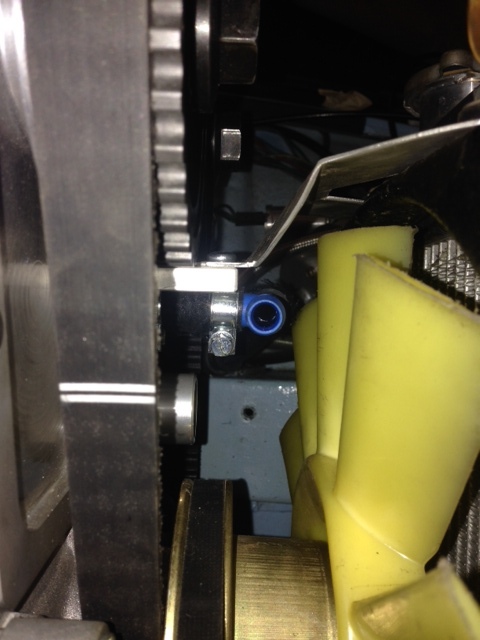 Its adjusted by the cam tensioner roller as shown at the bottom of the picture. From past projects when this turned up in the SC kit it is from a Ford Pinto engine. This is the cam belt tensioner type if parts are required. The ford part number is: 1 496 915. I will get the details of the belt from the continental model number. 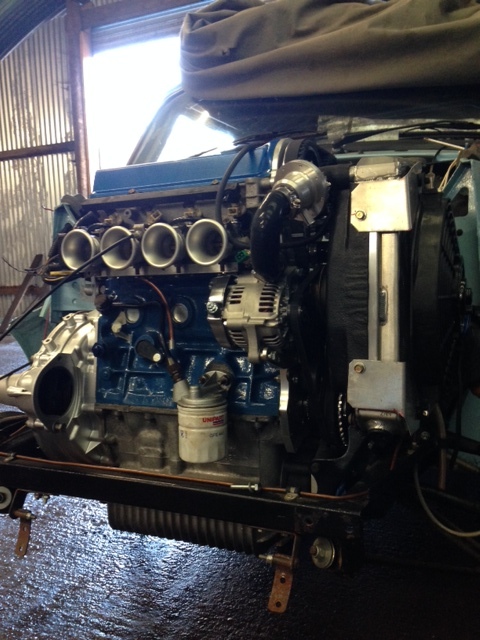 So again due to lack of time at present the engine project has been on the back burner for another month. 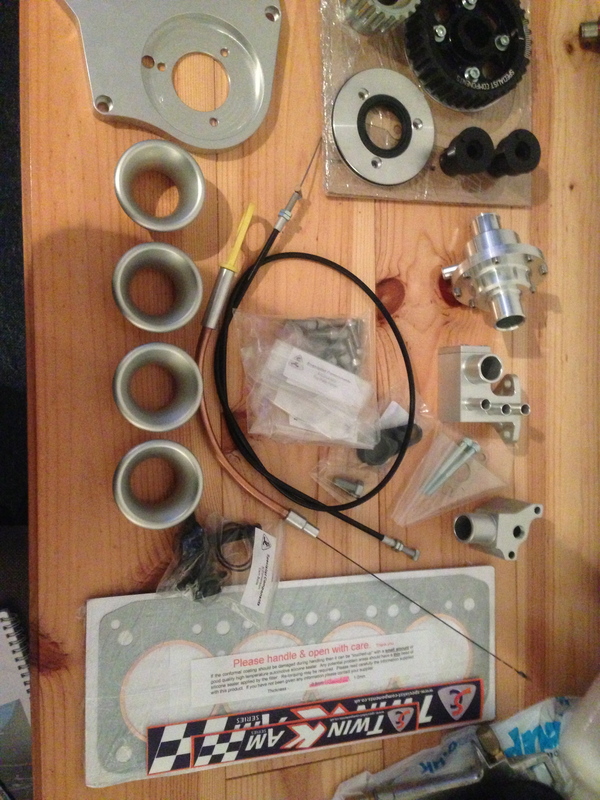 But on friday i opened up the parts that had been returned from Chris and got the build underway. I picked up new big end, mains and thrust bearings from Mini spares centre Midlands on Friday afternoon and got the crank and mains in and torqued down on friday night. 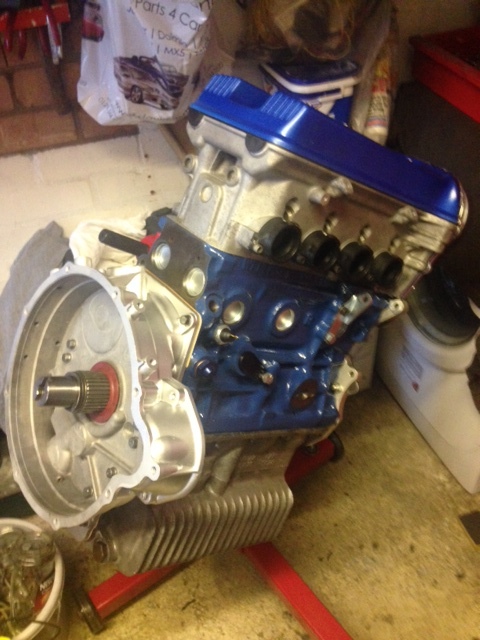 This morning i started early’ish and managed to get the rods and pistons in. Time was taken with this and it all went smoothly should i say myself. 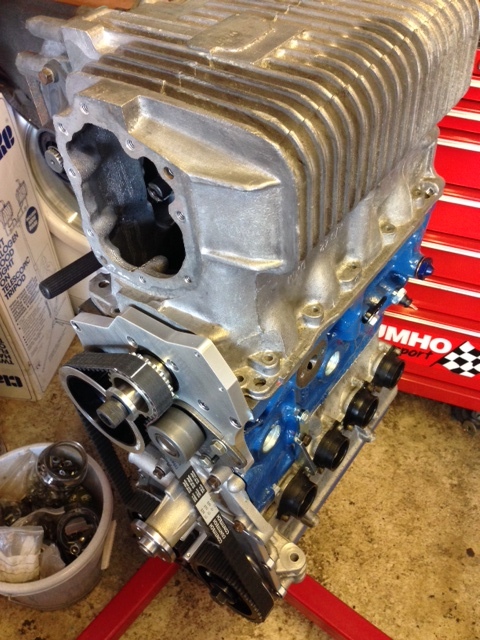 I have mocked up the basic engine to get some more pictures to show viewers following this. I tried to pick up a water pump today but couldn’t find anywhere local with one in stock. Ill grab one of these next week now from Mini spares and then carry out the modifications to the top edge and alloy web removal. 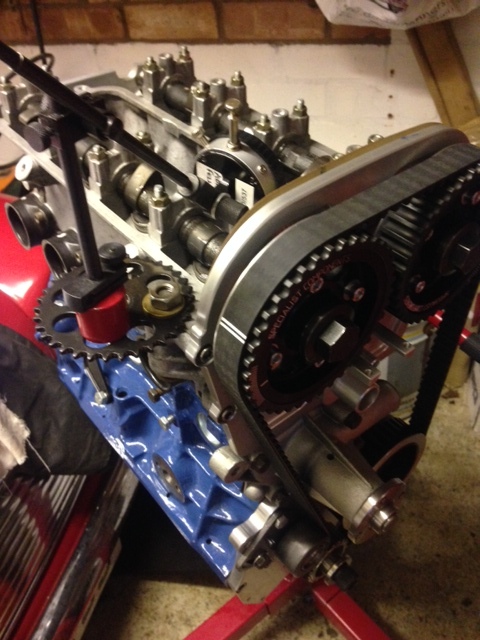 I did come across a couple of niggles, i still need to modify the original camshaft to allow oil flow to the cams. I spoke to John at SC in the week regarding this and he was helpful and sent me over a picture showing how SC tackle the modification. Ill add a picture of this on maybe the next post. Also one of the bottom plate mounting holes to the man journal cap drilling is slightly off with my block so this will need a modification to address the issue. The head studs all have to be cut down in the 8v head configuration so an estimated 10mm will need to be taken off these for clearance purposes. 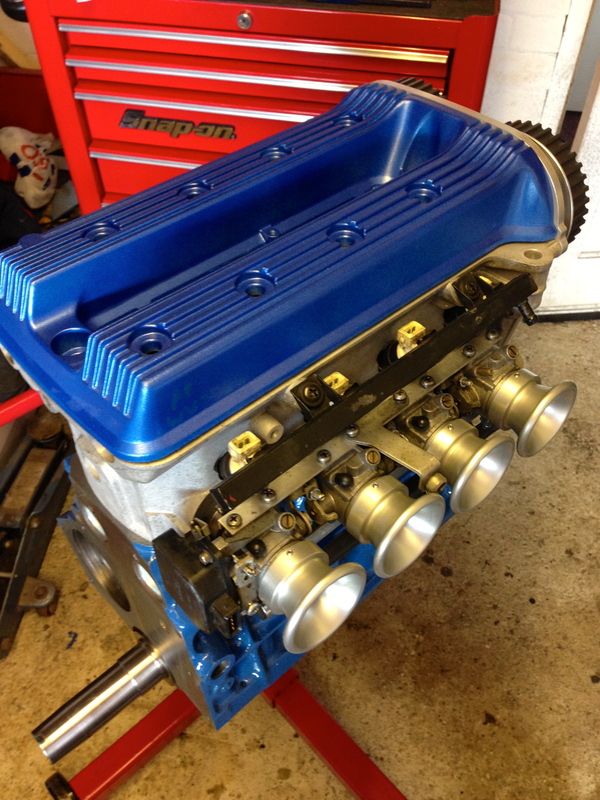 So theres plenty of work left to get through but the projects coming together nicely now…. finally. Click on thumbnails for full size pics. I have finally taken the plunge and the conversion kit is here. 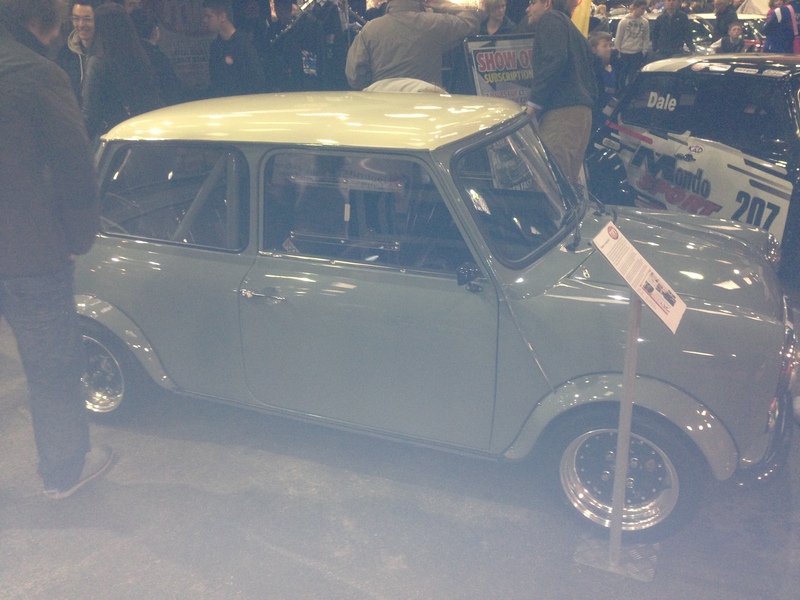 It was picked up from Bingley Hall Mini show last weekend. 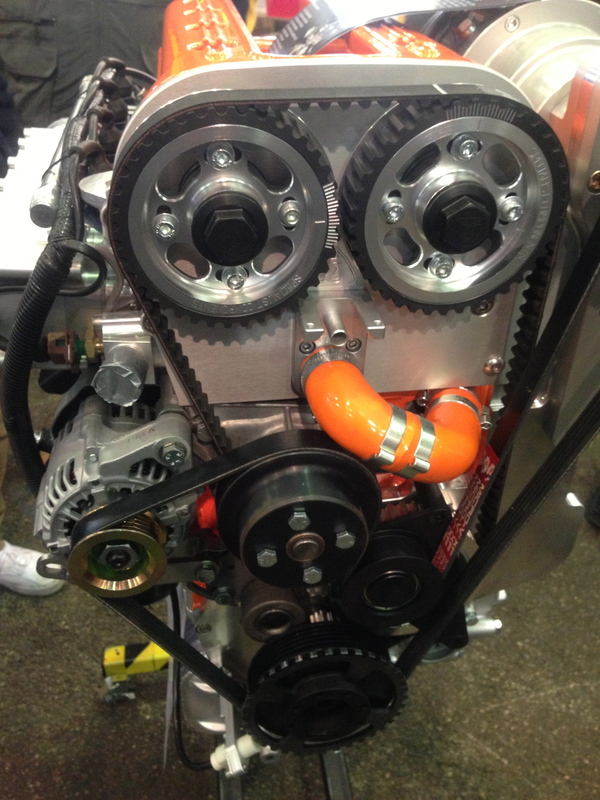 Specialist components were showing some quality engineered products and an array of nice engine set ups. One being a 16v conversion with a supercharger bolted up to it with power graphs to show power outputs of around 240bhp. The price at 11,000 – 12500GBP is just slightly (not) out of my price range and the power outputs would be far to much for the car i have. But all in all it was an absolute monster. I’d like to know from SC maybe after some road or race tests how the gearbox holds up to these figures. There was a conventional mini head setup showing the use of there typhoon injection system utilising some very nice design and manufacturing. If you wanted to keep the A series engine as standard as possible but convert to injection this is the way i would be going. 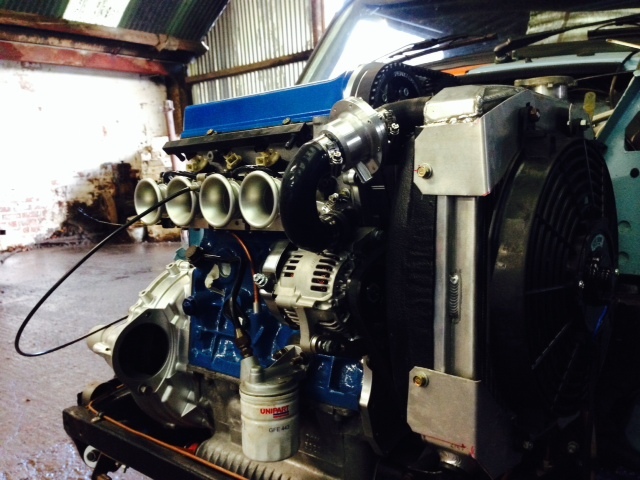 The below pictures show the SC 240bhp animal. So the pistons were dropped off with SC at Bingley to have the pockets cut into them. 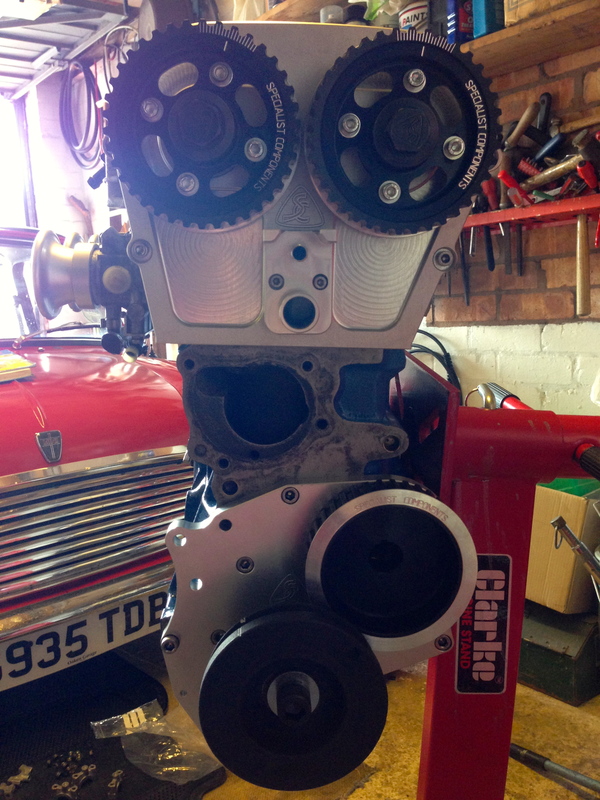 My rocker cover has also been handed over to have the cam chain end machined flat to seal against the SC front plate. SC offered me some superb discounts on the day so i picked up most of the parts from them that i needed to get the engine head built up.I purchased a; Conversion kit, ancillaries kit, 0.6mm head gasket and a remote thermostat. Pictures below show the parts that are now ready to be built up onto the block. 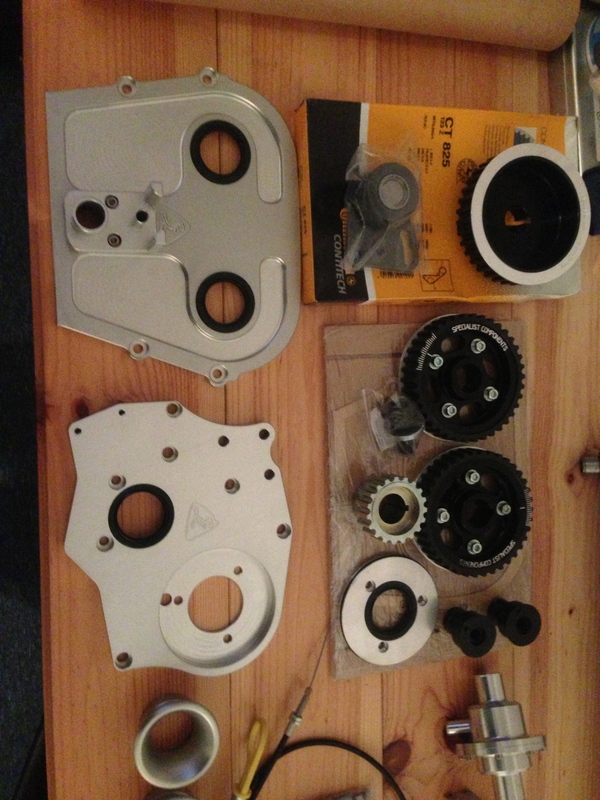 The quality of the components is shown in the pictures – amazing! Another item i found was from RetroSport. I had originally planned to blank the dizzy port in the block with a alloy insert and use the original A+ dizzy clamp to lock the insert down to the block. After picking up a dizzy clamp in the auto jumble I stumbled across a blanking plate that looked so much nicer than what i was going to use. At £12 it wasn’t cheap but i have realised now that if you want it to look right you have to spend the money to get it so below shows the RetroSport item and to the right the setup i was going to use. No brainer really?????? I dont take a lot of pictures these days at mini shows as some cars that people produce and seem to like to show off don’t press any buttons of mine. But who ever built this tweed grey retro racer needs a big pat on the back. I would love to of found out who built it and chatted to them about how they had done a few things. The editor of Mini magazine has been informed of this blog so Jeff (if you’re reading this) pass on my regards to the owner. Absolute stunning car, best car i have seen in a few years an in my favourite 60’s colour. It looks pretty standard to most but as i looked around it you noticed small changes that the owner had made to improve that 60’s look with a modern twist. I loved the detail that the owner had gone to just to fit the bonnet straps. Instead of going over the top of the MK3 chrome bonnet strip, they had reduced the width on the chrome bonnet edge and gone between the hockey stick and the now shorter bonnet strip. I wish i had got a picture of this now as i have never seen this done before but it looked so much neater than “the over the top” method. The front indicator lenses had been changed to clear flat types and various other small changes have been done to produce something that i would love to own. 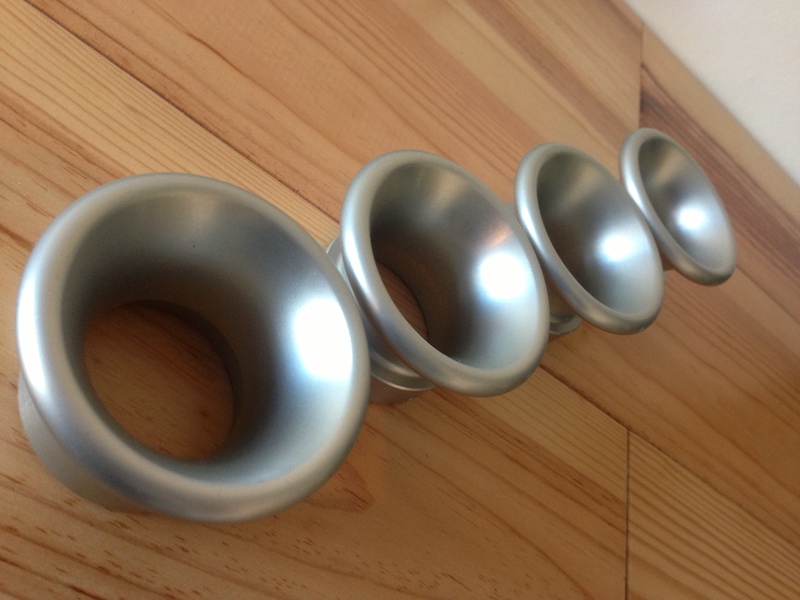 Carbon bumpers and the interior!!!!…. enough said. The only small floor i could find was someone had tightened its door window lower chrome strip mounting bolts too tight and caused the chrome to deform. Picky i know but other than this perfect!!! 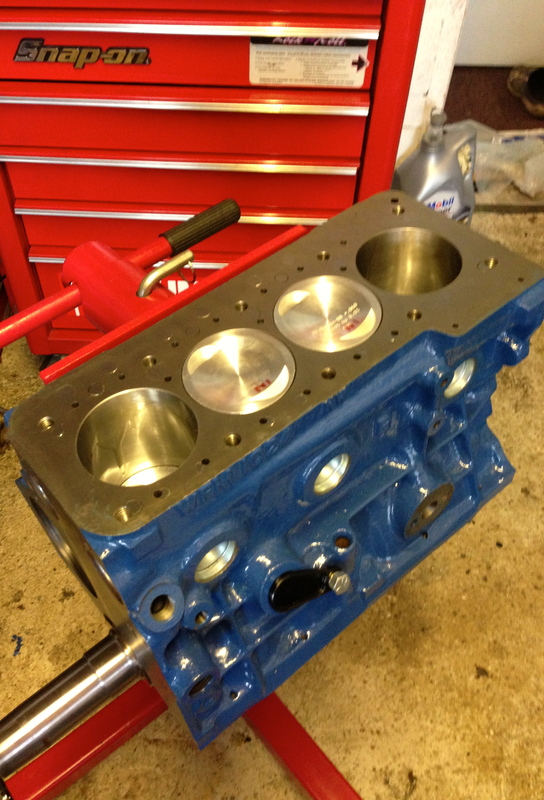 I have test fitted a piston tonight into cylinder no 2 of the block just to check the piston decking at TDC. Fitment is as good as it gets on the new pistons. Setting up the DTI and zero’d on the block face shows that with the piston raised to TDI the crown now sits perfectly decked to the block face. 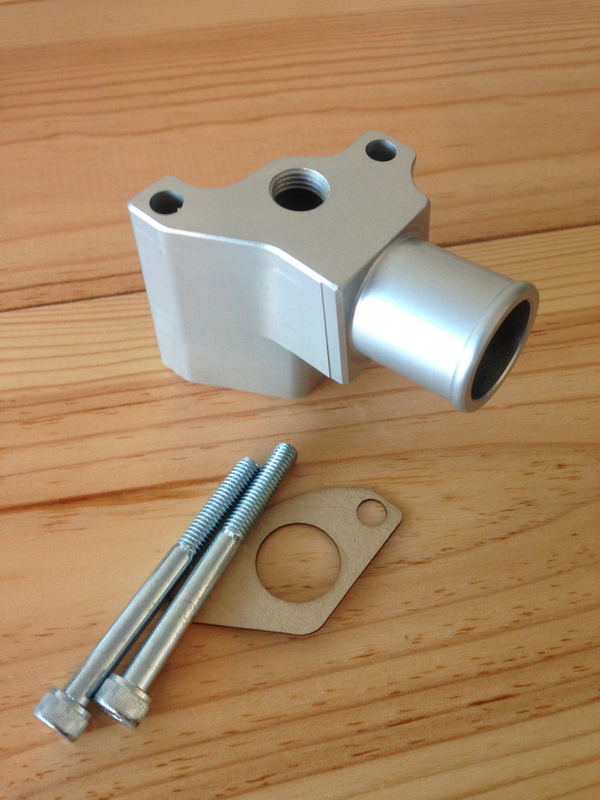 Prior to machining i had around 020″ of block material above the top of the piston crown. Pistons are AE slipper type 21253 +060″ with an 8.3cc central dish. Mini spares ltd sell these units using part number P21253-60 for around £50 each inclusive of rings. Next jobs are to get the conversion kit on order from SC. 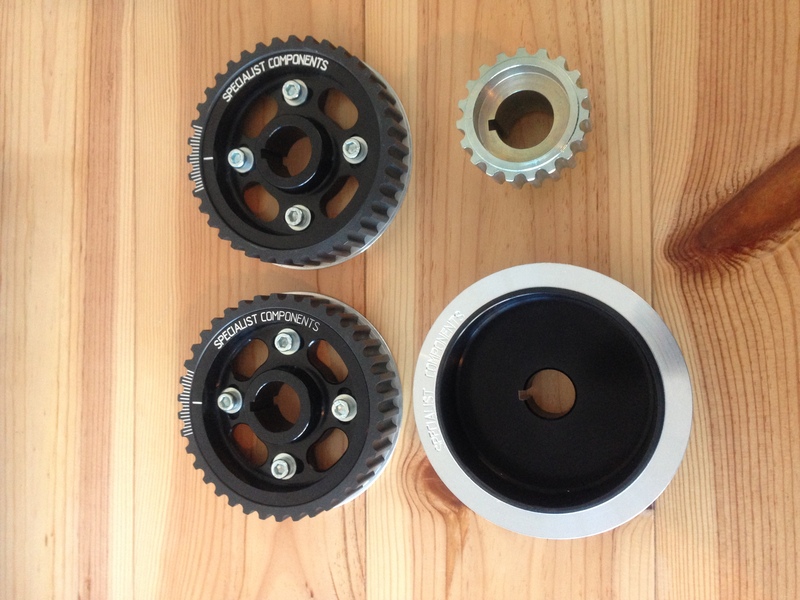 Order a lightened road spec steel flywheel, clutch back-plate, orange pressure plate, performance clutch plate and a suitable crank pulley and dampener to work with the SC ignition system. The whole lot then needs to go for balancing. The pistons need to go away to SC and have the valve pockets cut. I picked up the block last week from the machine shop and i’m pleased to say that the work that has been carried out is perfect – Very happy!!! The bores are perfectly honed and matched to the pistons type that i chose (sticking with following the SC 8V engine build). 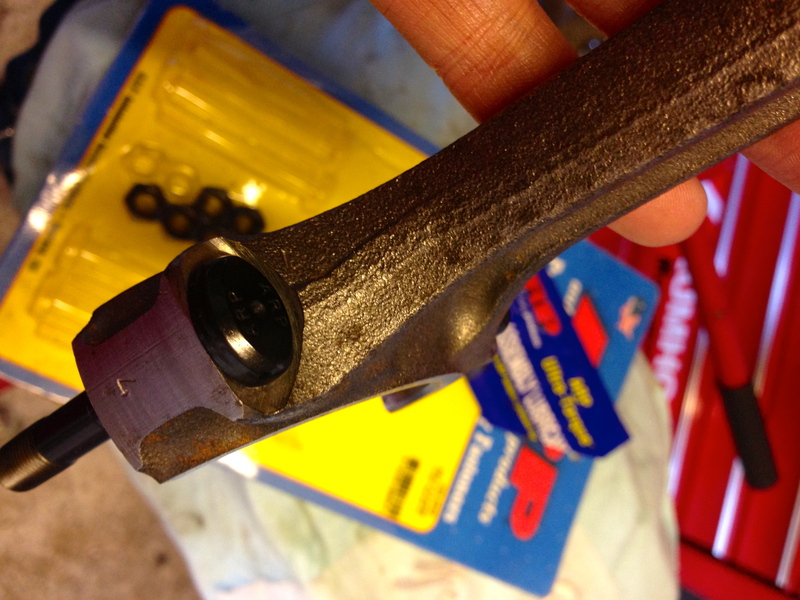 The cam bearings have been replaced and the centre cap has been milled flat for the centre strap fitment. The modifications to the block face have been completed to a great standard. The machine shop were a little concerned about how the drillings for the new head studs would turn out if they hit a flaw in the casting or how the intersection drillings would even drill straight. The only issue i can complain about is the fact the block has been through the either acid bath or high temp cleaner and its taken some of the blue paint off. Repainting can be done again though when the bottom end and pistons are away being balanced and machined for valve relief pockets. Incase anyone is planning to have a go at the conversion Sam from theminiforum did highlight some good advice. 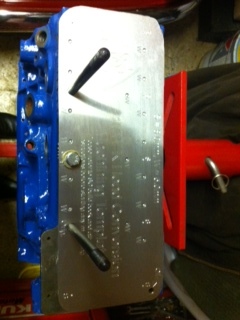 Measurements for the new head stud should be drilled on a mill, clocking off the 3 original retained head studs. 76mm to the side and 86mm back. Thank you Sam. Tags: bmw, mini, TWIN CAM. I thought id get a picture of the SC drilling template sat on the block showing the re-drilling positions that are required to match the head to the block. 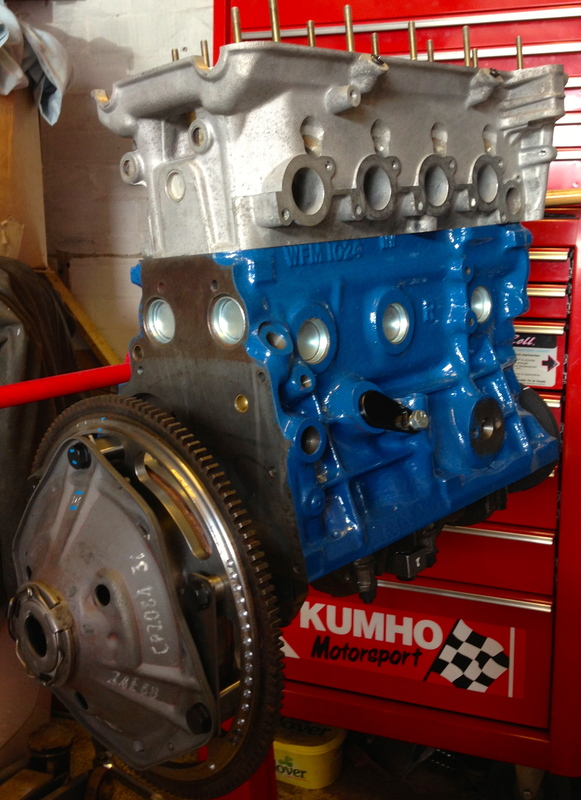 Some other jobs i have been getting on with was to clean up the gearbox ready to go to Guessworks for rebuilding. I would have done this myself but with the increased torque that will be produced by this engine, I would rather Guessworks build a gearbox that will be able to put the traction onto the road as best as possible and minimise the chances of any breakages.